For an updated version of this tripod with a higher payload, 3/8" Easy Link port, and shorter length when closed, see the Manfrotto 055XPRO3 Tripod Legs. 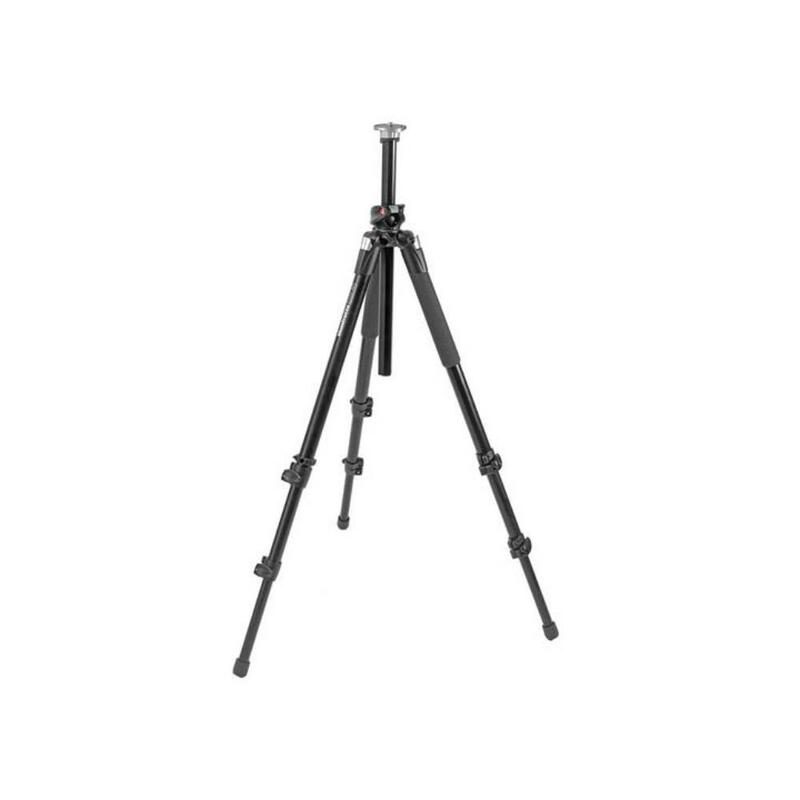 The Manfrotto 055XPROB Tripod features a very long height range, an intuitive flat top with a universal 3/8"-16 mounting point for attaching a variety of heads (not included), and a center post that can be rapidly set vertically or horizontally. The Quick Power Lock style of the 3-section legs can be used single-handedly and set to different heights as needed. The Manfrotto 055XPROB is a versatile tool suitable for projects of all genres. • This tripod has a flat head mount and will not work with bowl base systems. • This rental is for the tripod legs only. A tripod head is rentable separately.